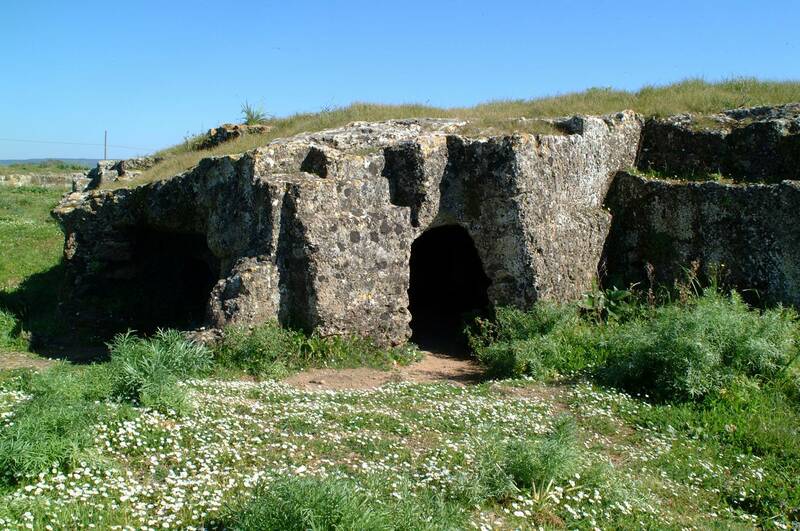 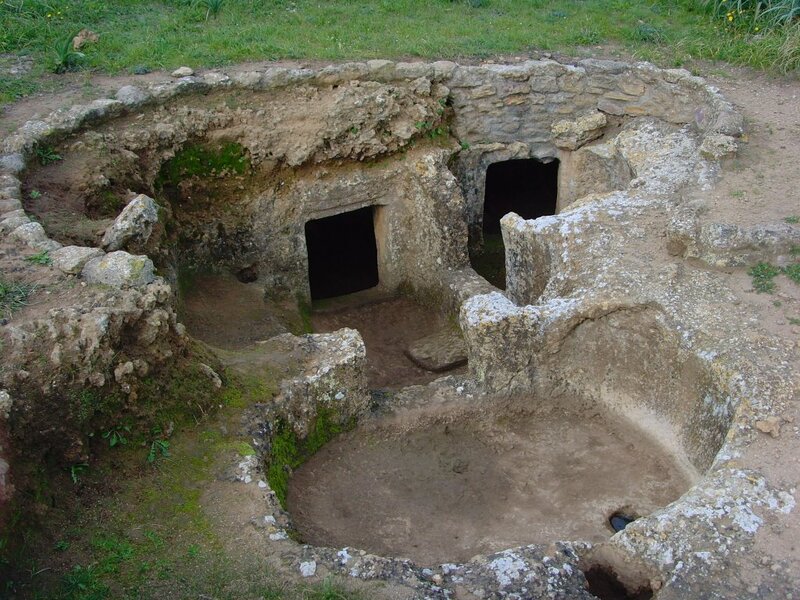 The necropolis of Anghelu Ruju is the largest and most important prehistoric burial site in northern Sardinia. 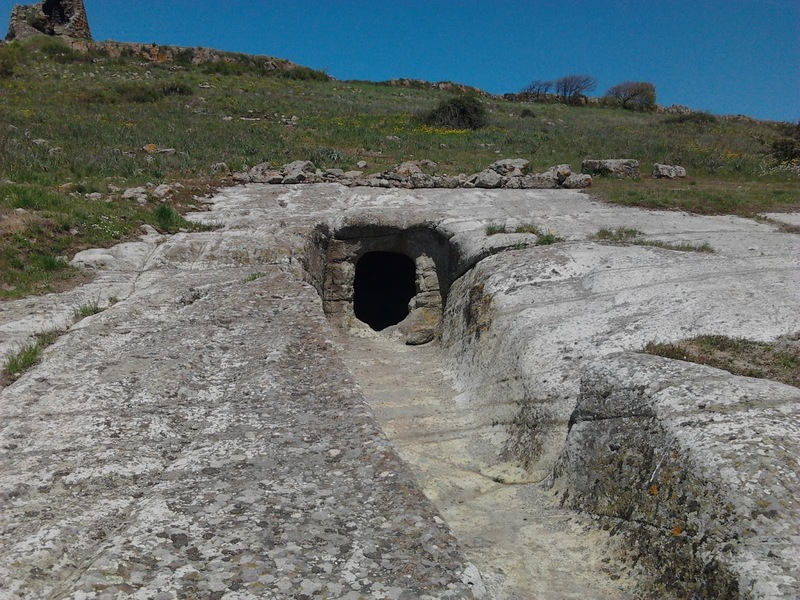 It lies in the Alghero countryside, about 9 km from the sea, on a fertile plain crossed by the Rio Filibertu. 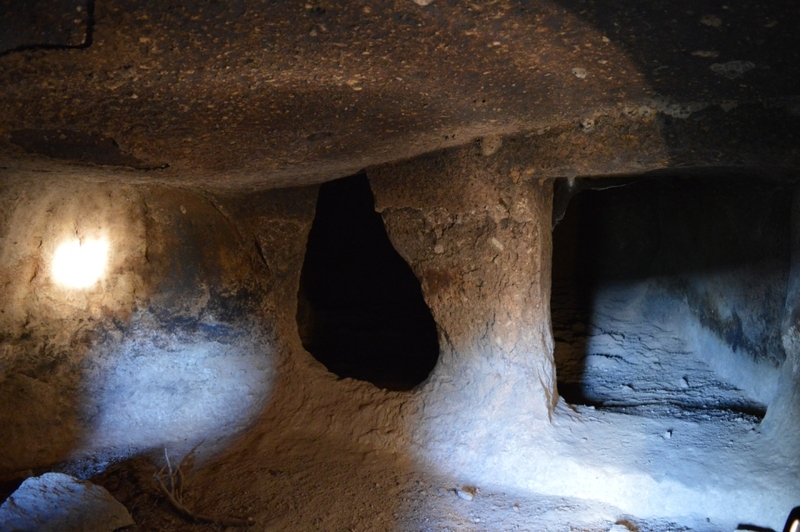 It includes 38 rock-cut tombs or “domus de janas” hewn into sandstone and grouped in two clusters of 7 and 31 units; the sharp stones used to dig them out were found in large numbers inside the tombs during excavations. 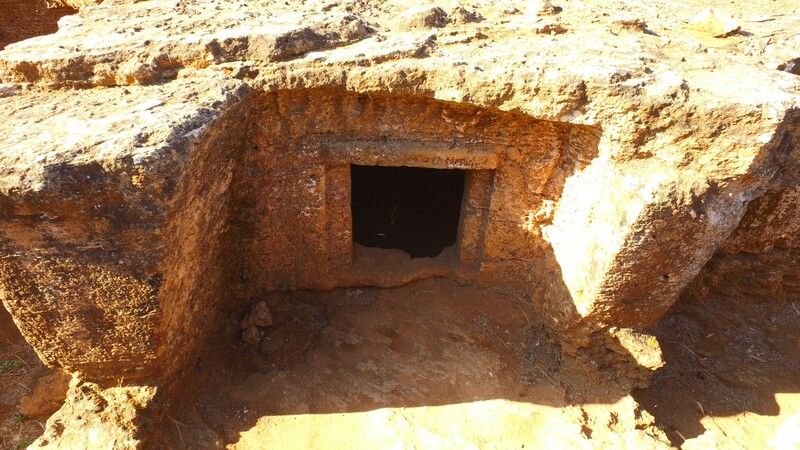 These chamber tombs are decorated with bull symbols and horns sculpted into the walls and on the pillars; there are also traces of red ochre, the colour of the blood of regeneration and false doors of eastern origin representing the gateway to the afterlife.